ITC Foods, the maker of Bingo! Chips, Sunfeast biscuits and Yippee! Noodles, has gained a reputation of being a disruptive player. Contributing 12-13% to its parent's revenue, the division turned the corner last fiscal. Its boss, chief executive Chitranjan Dar , though, is reluctant to take all the credit. He says he took over when brands were established and the division only needed consolidation. The strength of ITC Foods lies in sourcing staples through its e-choupal system that offers direct contact with farmers and a distribution channel that piggybacks on the equity enjoyed by Wills cigarettes across corner outlets. Dar, who has had a three-decade-run at the cigarettes-to-hotels group, tells Sarah Jacob how the division is now focused on a high-margin, value-added products strategy and is working on developing healthier offerings. Where does Sunfeast stand in the biscuits segment? Products have. 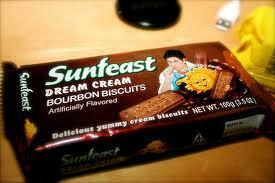 (Industry estimates peg Sunfeast's market share at 11%). I thought, its the effort of only Deveshwar sir of ITC. But no its the combined effort of Chitaranjan Dar in ravamping the strategies for biscuit market share capturing. Really liked the article.